EU COUNTRIES ARE set to ban all imports of Iranian crude oil, amid ongoing tensions over the country’s nuclear plans. The move has been agreed in principle and will be announced at a meeting of foreign ministers at the end of the month, the BBC reports. The ban will increase international pressure on Iran, which is facing a currency crisis after the rial dropped 30 per cent in two days, according to the Huffington Post. The country is also embroiled in a tense standoff with the US after threatening to close the key Strait of Hormuz, the sea route via which much of the world’s oil is exported from the Gulf. US officials have hailed the US move, with a State Department spokesperson calling it “very good news” according to Mena FN. “We think that the place to get Iran’s attention with regard to its oil sector,” Victoria Nuland said. The EU currently buys around 17 per cent of Iranian oil exports. 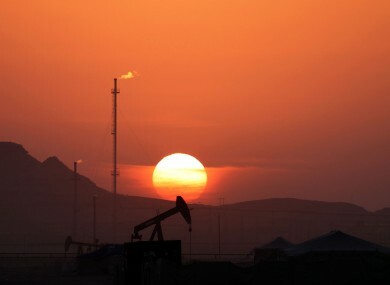 The New York Times reports today that if Iran carried out its threat to blockade the Strait of Hormuz, the price of global oil could rise 50 per cent in a matter of days. Email “EU gears up for Iranian oil ban over nuclear dispute”. Feedback on “EU gears up for Iranian oil ban over nuclear dispute”.